DAVAO CITY, Philippines — With few weeks to go before classes start, parents and college students brace themselves to the onslaught of higher tuition and school fees. To the dismay of student groups, come academic year 2012-2013, an average of 10 percent or PHP 41.52 (USD 0.98) increase in tuition per unit will be implemented nationwide. The Commission on Higher Education (Ched) has approved the petition of 222 Higher Educational Institutions (HEIs) to increase their tuition as of April 19. 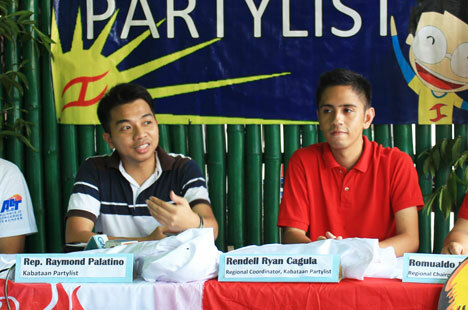 “The number is expected to increase to more than 256 as Ched continues to process more petitions,” Rendel Ryan Cagula, regional coordinator of Kabataan Partylist, said. Aside from over 200 HEIs, more than 100 elementary and secondary private schools are also going to increase their tuition. Average tuition will reach to PHP 475 (USD 11.22) per unit from PHP 434 (USD 10.25) per unit, adding to the Filipinos’ burden on rising costs of basic goods and commodities, and the absence of substantial wage increase, youth critics say. In a study made by Kabataan, the national average of tuition and other fees in private HEIs in 2001 was pegged at PHP 257 (USD 5.95) per unit. But in 2010, the figure has nearly doubled at PHP 501 (USD 11.59) per unit. Today, a college or university student needs more than PHP 22,000 (USD 509) per semester to enroll. This amount does not yet include the miscellaneous fees, allowance and other school needs. “The cost of education has become simply too expensive for ordinary families,” Bayan Muna Representative Teddy Casiño said. Among other things that Aquino can do to stop the tuition increases, Palatino said, is to order the Congress for a supplemental funding that could be used for scholarships. These scholarships, he said, could benefit students from both the private and public schools. Aquino can also certify as urgent those pending bills that regulate tuition. In the past years, Palatino said, a lot of schools didn’t increase their tuition but they increase their miscellaneous fees. “If there are over 300 schools that will increase their tuition, how many schools would increase their miscellaneous fees?” he said. The DepEd and Ched do not have a monitoring system with regards to the miscellaneous fees. This reality, according to Palatino, made these government institutions “blind” on the issue. In a May 8 hearing at the House of Representatives, Ched officials admitted they approved all applications for tuition increases, but they do not have any policy on miscellaneous fees. Ched-XI Director Edward Aquino told Davao Today that they conduct regular monitoring on the utilization of school fees. In the petition for tuition increases, the only requirements are certificates of compliance for consultation and 70-percent proceeds for the staff’s salaries; a letter of advice and other pro forma documents. In every tuition fee increase, 70 percent is apportioned for the salary of teachers and staff, 20 percent to facilities improvement and 10 percent to the school. If the schools can comply all of these requirements, then their petition will certainly be approved. Any increase in miscellaneous fees directly goes to the school. “A lot of parents and teachers have been complaining against questionable fees,” Palatino said. Energy and development fees under the miscellaneous fees have been questioned as the 20 percent in tuition increase is supposedly allotted to facilities and improvements. Kabataan said, in the last six years, the top five biggest earners among the country’s schools raked PHP 15 Billion (USD 0.35B) in revenues with more than PHP 3 Billion (USD 0.07B) in profits. “How could Ched allow these enterprising schools to unjustly profit from the students and their families when it should be the government which is ensuring that education is affordable, if not free for the population?” Casiño said. Kabataan’s Palino appeals to private school owners in Davao City to postpone, if not abort, their planned increase in tuition, saying in the past, there are schools that didn’t increase their tuition as they felt its effects on enrollment. “We fear that the increase in tuition will result to an increase in dropout rate and decrease in enrollment ratio. Instead of going to school, many will be forced to work at a very young age while others will add to the growing statistics of out-of-school youths,” Palatino said. “In our proposal, we will regulate tuition and miscellaneous and guarantee democratic consultations,” Palatino said, adding, they will ensure arbitration if ever there are protests. Progressive lawmakers like Casiño and Palatino are proposing House Bill 1961 (HB 1961) which aims to regulate school fees. The bill regulates tuition to not more than six percent based on a private school’s return of investment (ROI). Any increase in tuition should be apportioned to not less than 70 percent for the salaries, wages, allowances and other benefits of faculty and non-academic personnel; and not less than 20 percent for the school’s improvements.